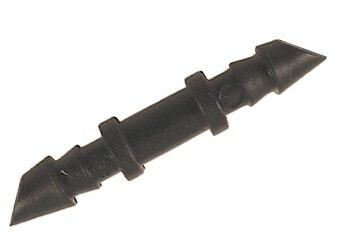 1/4" Drip tubing connectors can be used several ways. Inserted into your main line and then attach 1/4" tubing or soaker hose or dripperline. 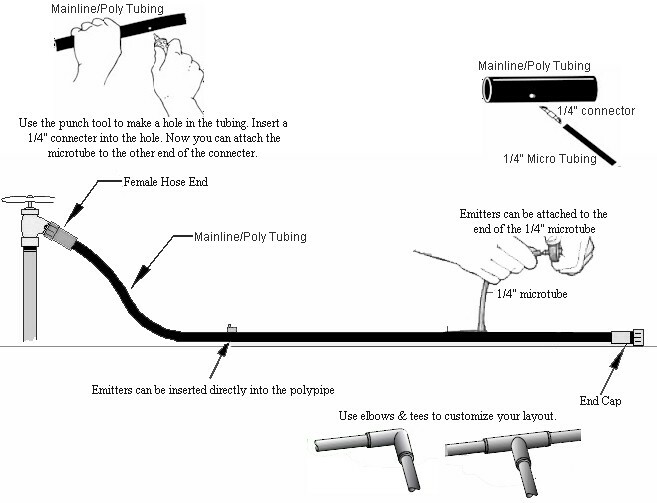 Use to attach 1/4" soaker hose and 1/4" poly tubing together (also referred to as spaghetti line). 1/4" connectors are used to connect pieces of 1/4" micro tubing or soaker hose to a main line or to extend a dripper or micro sprayer away from the main line with micro tubing.